You can create your own multisport mode in Movescount and download it to your Suunto Ambit2 S. The multisport mode can comprise a number of different sport modes in a specific order. 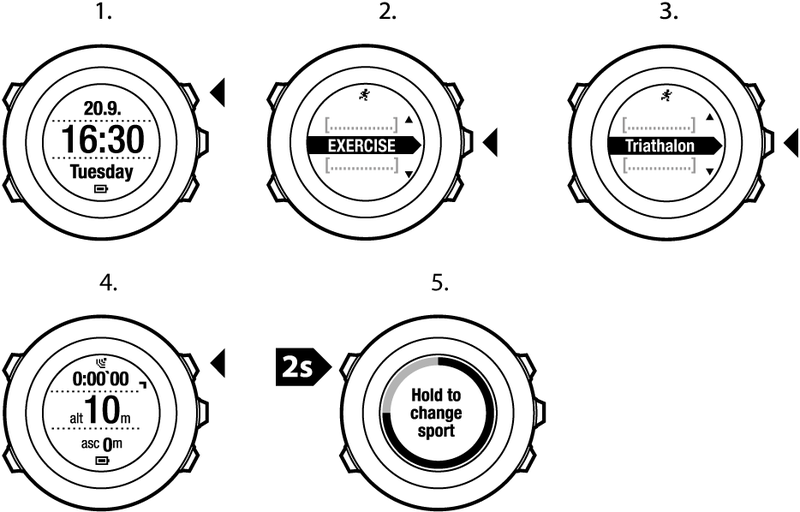 Each sport included in the multisport mode has its own interval timer. You can select Multisport, Adventure racing or Triathlon as the multisport mode.